ADD BEAUTY WITH DAYLIGHT AND FRESH AIR WITH VELUX SKYLIGHTS! 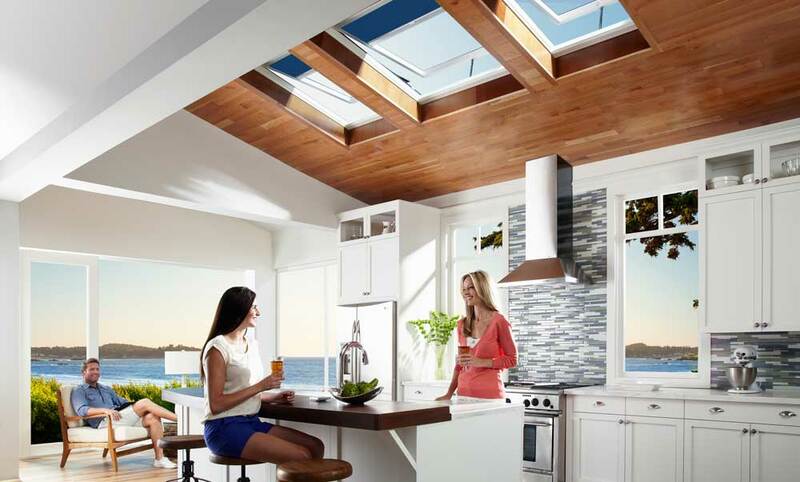 VELUX residential skylights are a great way to add natural light and fresh air to your home. They not only improve your living space, but they also help improve energy efficiency. VELUX SUN TUNNEL™ skylight – the most innovative skylight in the industry. The new product design delivers brighter natural light and the easiest installation available. If you have a small space that needs natural light and not a sky view, consider a VELUX SUN TUNNEL™ skylight. We want to be your local roofing company in Charlotte, a roofing contractor you can count on… Call today for details and a report on your roof condition. Charlotte’s best roofing contractor will inspect your home within a day or two of your call. Our Satisfied Roofing Customers Testimonials & Reviews here!